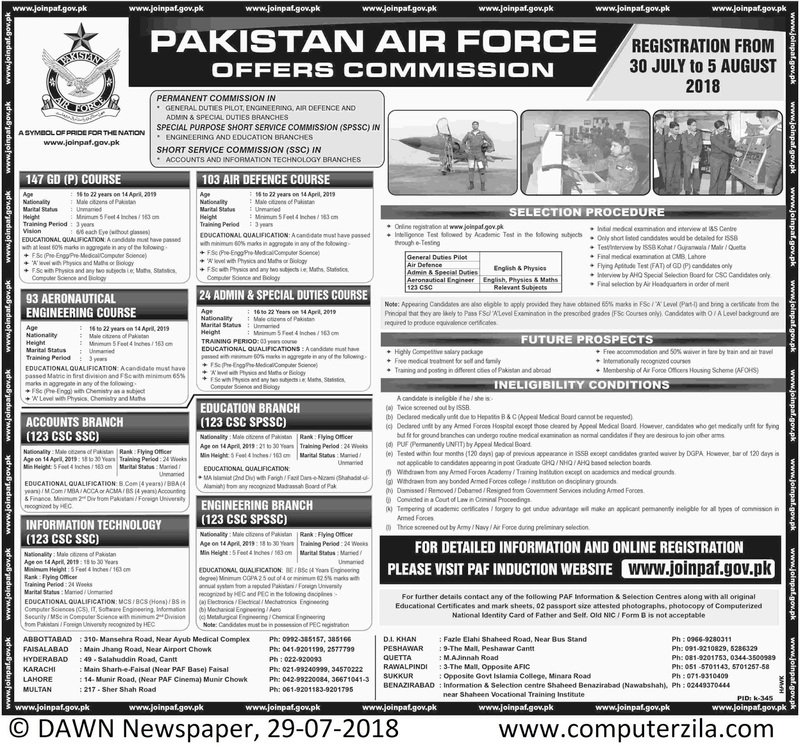 PAF Offers Commission at Pakistan Air Force (PAF) in Abbottabad, Dera Ismail Khan, Faisalabad, Hyderabad, Karachi, Lahore, Multan, Peshawar, Quetta, Rawalpindi, and Sukkur Cities. Pakistan Air Force is a Government Organization which requires employees for Administrative, Engineering, General Duty Pilot (GD P), Education, Information Technology, and Accounts Jobs in cities Abbottabad, Dera Ismail Khan, Faisalabad, Hyderabad, Karachi, Lahore, Multan, Peshawar, Quetta, Rawalpindi, and Sukkur. Join Pakistan Air Force as Commissioned Officer, Jobs offered for Permanent Commission, Special purpose short service commission (SPSSC) and Short Service Commission.